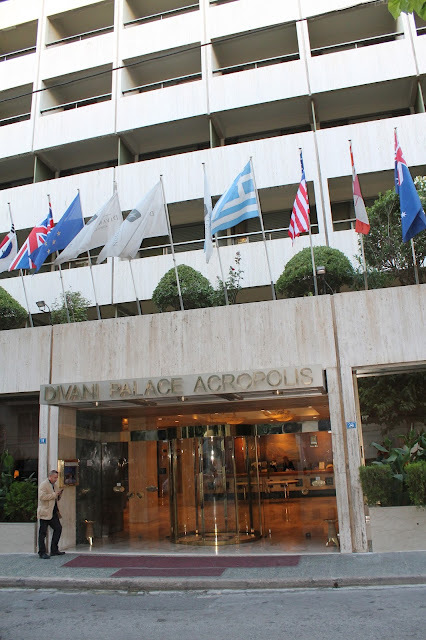 Our first stop was in Athens where we stayed at the Divani Palace with a spectacular view of the Acropolis from our balcony. We were so tired from the long journey that we decided a nap was in order before we went off exploring the city. We learned that night that if you want to find restaurants and where everything is going on do not walk toward the main streets (which is pretty common here in Chicago) but to walk towards the Acropolis and all its tiny streets and alleys. The next day we discovered that's where all the action is. That first night however we walked around near our hotel a bit and eventually found a place to eat. Here is what I wore that first night. Our hotel, the Divani Palace! The view from our balcony! Pretty awesome, right? 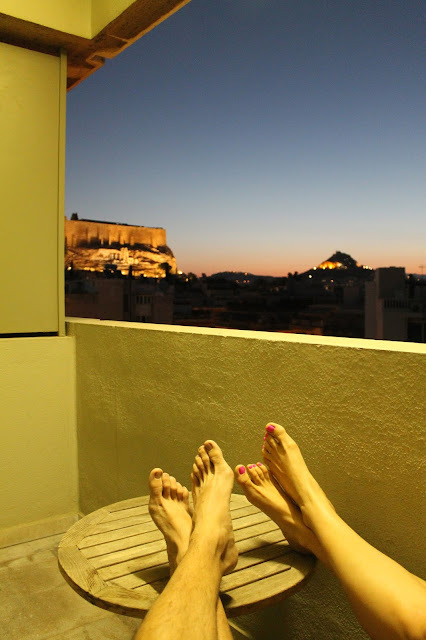 We woke up super early from the jet lag and watched the sunrise over the Acropolis.